A pair of lenses at the front- this is how Oppo is trying to make good on the "Selfie Expert" claim for the second generation in a row. It's hardly news for anyone who caught our Oppo F3 Plus review. Now, if the latter was presumably the "better half" in the pair, the regular Oppo F3 that we're about to review is the more compact phone - the economy package, so to speak. We are still trying to figure out whether it's playing second fiddle in this Selfie Expert duet, or if it's the value package that's supposed to shake up Oppo's sales in the right markets. It really seems like Oppo is deliberately keeping the focus on the F3 Plus, but Southeast Asia may be just the right place for the regular F3 to get out of its sibling's shadow. In the F3, you get a more compact 5.5-inch screen of the same 1080p resolution. It's easier on the hand and the pocket, and adds some extra sharpness too. However, the switch to a less potent Mediatek MT6750T chipset affects its performance. The 13MP main camera is a slight downgrade too, video capture is capped at 1080p and there's a smaller 3,200mAh battery. Priced at around $300, the Oppo F3 is clearly going to be pitched as the value package. 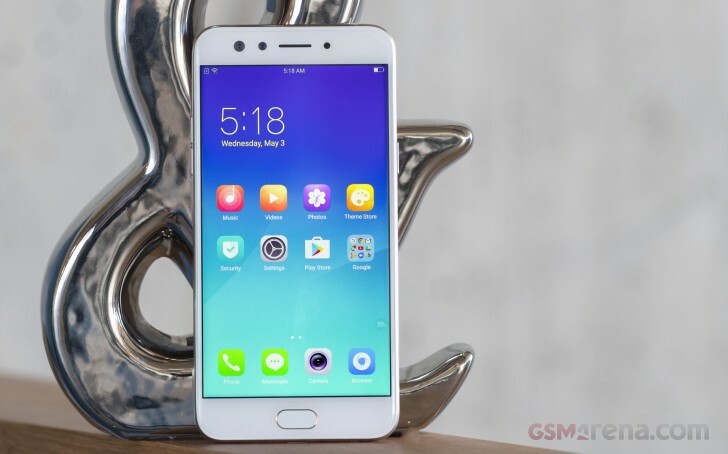 The inferior chipset and lower-res main camera must be the compromise that lets Oppo charge less, while still offering the phone's key selling point- the dual selfie camera. Selfies aside though, the F3 may have a hard time standing up to the likes of the rather popular Oppo R9s. Granted, the pair of lenses at the front put the F3 in a niche of its own; this is the selfie buff's choice, while the majority of users would probably go for the balanced performer, which is the R9s. Still, it's just our opinion and not necessarily what users want in their phones nowadays. Just like any other phone that comes our way, we owe the F3 the benefit of the doubt. Follow along on the next few pages, as we put the Oppo F3 through its paces and look beyond that pair of pretty eyes on the front.